John Walton was appointed Director of Music in January 2009. 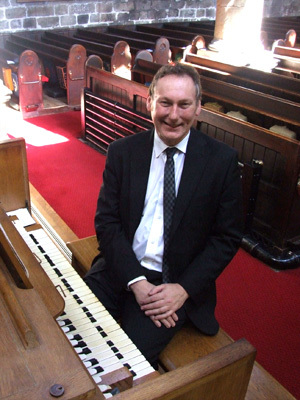 Previously he had served as Director of Music at Wigan Parish Church, and for many years at St. Oswalds Roman Catholic Church, Ashton-in-Makerfield, where he served as organist, and latterly as Director of the Choir. John was founder of the Arrowsmith Singers, an accomplished group that professed to sing anything anywhere. He ran a highly successful private teaching practice for thirty years, and now enjoys part-time music teaching at St. John Rigby 6th Form College and Wigan Music Services. Concert work has embraced performances in England, Germany, France and Malta. Initial organ lessons began with Christopher Symons at Oswestry School, and then in 1977 to the Royal Northern College of Music in Manchester. Tutors there included Eric Chadwick, Ronald Frost, John Bertalot and Gillian Weir. Singing lessons commenced after college with Barbara Dix and Alex Abercrombie, with a further period of Study in the early 1990’s with Roger Fisher at Chester Cathedral. In addition to solo organ and piano work, John is much sought after as an accompanist to singers and instrumentalists. As a composer, he has written a number of Mass/Church Service Settings, Anthems, arrangements for instruments and voices, solo organ and piano music, and is now hoping to be able to devote more time to this aspect of his work. John is Graduate of the Northern College of Music, Fellow of the London College of Music, and Fellow of the Royal College of Organists. 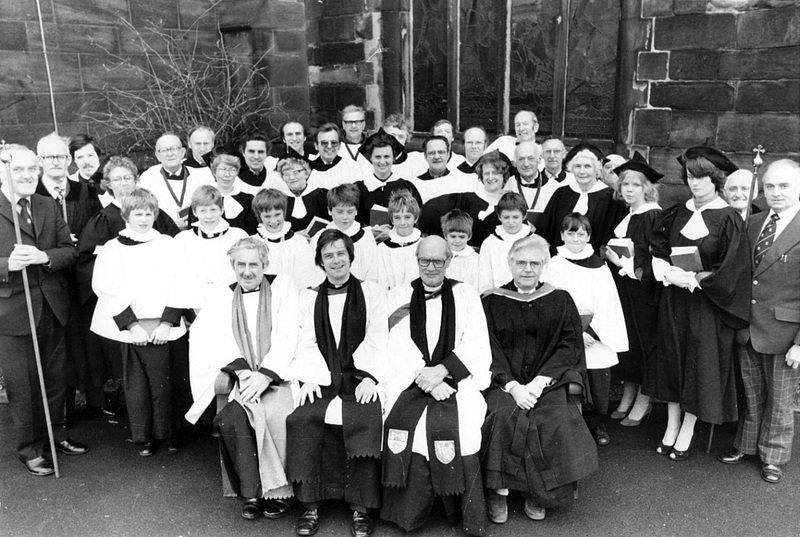 Standish Parish Church Choir is an ensemble of mixed voices who lead the music in Worship at the Sunday 10:00am Family Communion and at the 6:30pm Sung Evensong. 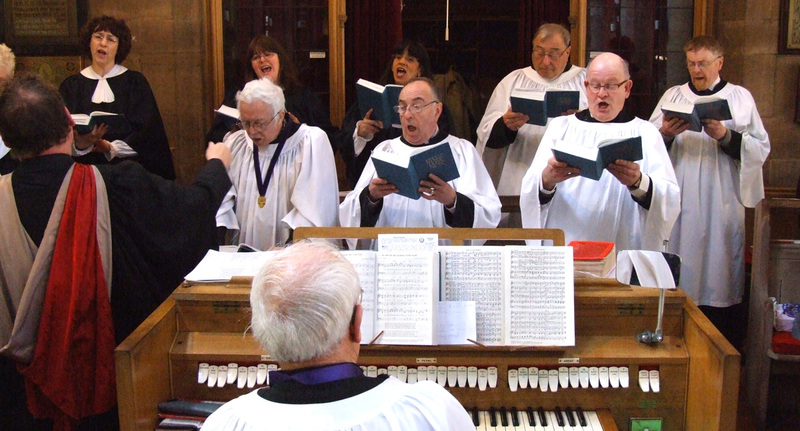 Weekly rehearsals take place in the Choir Vestry on Thursdays from 7:45pm-9:00pm, and on Sundays at 5:45pm. Repertoire covers a wide spectrum of music for the Liturgy, ranging from plainchant through to present day. The Choir sing at many of the several Weddings that take place in St. Wilfrid’s Church each year. Other occasions include extra services such as at Christmas, Easter, Confirmation and Remembrance Day. Our Hymn Book currently in use is Hymns Old and New (2000 edition) which enables our congregation to enjoy a pleasantly varied range of hymns and music each week. Choir Social Events include an annual Choir dinner in January, with occasional “get togethers” arranged during he year. Potential new members for the Choir are always most welcome; an informal quick voice test with John Walton, the Director of Music, is always a good starting point! He may be easily contacted after the 10:00am and 6:30pm services in Church on Sundays. The Saturday Morning Concerts that take place in St Wilfrid’s Parish Church were established in 2009 and have proved to be highly successful and popular. They normally run from mid-April to mid-June, with further concerts taking place during the month of September. These concerts offer a variety of vocal and instrumental music, with organ and piano recitals by the Director of Music. The final Spring/Summer concert in June is always the Ron Kay Memorial Organ Recital. Ron served as Organist and Choirmaster at St. Wilfrid’s Church from 1960-2005, and founded the original Standish Arts and Music Festival. All Saturday Morning Concerts commence at 10:30am, and admission is free. For full details of this year’s Concerts, please see our Events page. Standish St. Wilfrid’s Church Arts and Music Festival is a week-long series of concerts and events that revolve around the Feast Day of St. Wilfrid in October. This is an annual Festival that embraces lots of local talent as well as professional concerts and exhibitions.